Google has opened applications for the second class of its Launchpad Accelerator Africa programme. The programme will now take applications from an additional 12 African countries — to add to the six that it took applications from in the first class. The announcement was made by Google last Friday (8 June) in Lagos during the graduation of the first 12 startups from its first three-month programme. Applications for class 2 close on 8 July. The 11 new countries from which Google is accepting applications from are: Egypt, Tunisia, Algeria, Morocco, Zimbabwe, Rwanda, Cameroon, Botswana, Senegal, Ethiopia and Cote d’Ivoire. The 12 are in addition to the six countries that Google targeted applications at for the first cohort, namely: Ghana, Kenya, Nigeria, South Africa, Tanzania and Uganda. Applicants must have founded a technology startup, be based in Sub-Saharan Africa, target the African market and have raised seed funding. Folagbade Olatunji-david, head of startup success and services at Launchpad Accelerator Africa, revealed that the first cohort together raised $7-million in funding and created 132 jobs. In addition, the programme connected the participating startups with more than 20 teams from Google as well as 40 mentors from nine countries including India, the UK, US and Jamaica. Each also received a $10 000 equity-free cash grant. While Google did not reveal which of the 12 startups were able to raise a slice of the $7-million, Nigerian automated savings platform Piggybank.ng announced earlier this month that the startup had raised $1.1-million in a seed round led by LeadPath Nigeria co-founder Olumide Soyombo. South African agritech startup swiftVEE was also among the 12 startups (which included six from Nigeria, three from Kenya, and one each from Tanzania, South Africa and Uganda). The startup will next Wednesday (20 June) pitch at the MEST Africa Summit in Cape Town for a chance to win $50 000 in equity investment (see this earlier story here). Olatunji-David added that the 12 startups will now be included as part of the global Launchpad Alumni network, joining over 100 companies from 40 countries across five continents. Interested startups can apply to be part of the second cohort here. Read more: Google is backing it, but how does SA startup swiftVEE’s platform really work? 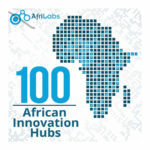 *Correction: Google initially stated that it extended applications to 12 more African countries. It is in fact 11.